BREATHTAKING VIEWS WITH FLOOR TO CEILING GLASS AND LARGE WRAP AROUND BALCONIES ON 520 of GULF FRONT! La Riva is a Luxury gulf-front, low density community located on 520 of white sandy beaches. 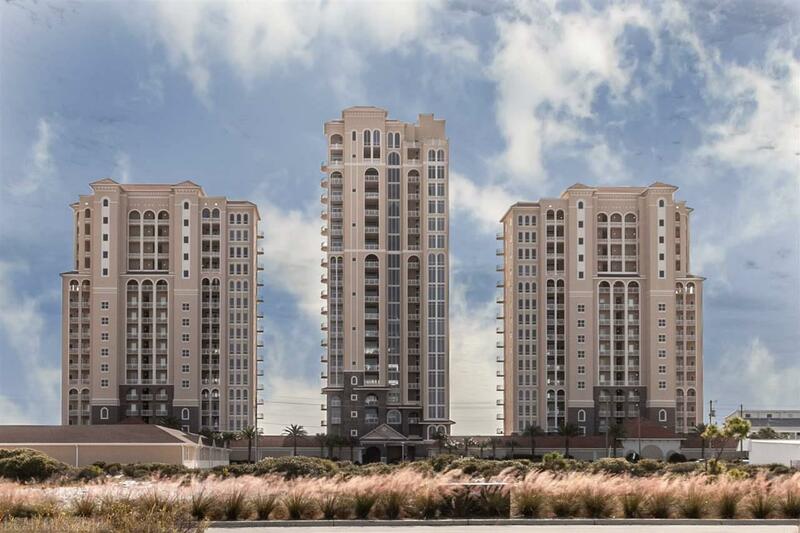 Residences feature a modern, open floor plan with spacious balconies and views from all directions on Perdido Key. This East End Residence features a private foyer entrance off the elevator and opens into a large living space with incredible floor to ceiling glass views wrapping around the spacious living, dining and kitchen areas. The residence has 10 ceilings and plenty of space for everyone with 4 private bedrooms with en-suite baths and a full laundry room. A large Gulf-Front Master Suite features sweeping gulf views, a large balcony and spacious master bath. La Riva is the perfect quiet beach escape in a rent restricted community with only 66 units within 3 towers. La Riva owners and guests enjoy resort style amenities including a gulf-front heated indoor pool, outdoor pool with hot tub, steam and sauna area and well equipped fitness center!